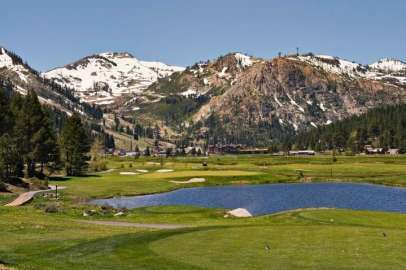 Home to the 1960 Winter Olympic Games, today Squaw Valley provides a multitude of activities for both summer and winter residents. It’s proximately to world-class skiing is well-known, but perhaps less obvious is the access it provides to hiking and mountain biking trails, golf and more. Nestled midway between Tahoe City and Truckee on Highway 89, Squaw Valley residents are as close to Tahoe City shopping as they are Truckee and access to Interstate 80 destinations of Reno and the Bay Area. Both the Resort at Squaw Creek and The Village at Squaw offer state-of-the-art facilities that include shopping, restaurants, adventure activities and spas. Squaw Valley properties are an interesting mix of chalet-style residences, modern multi-million dollar homes and resort lodging. High-end luxury condo units at the Resort at Squaw Creek and the Village, ski-in/out units, classic escapes and shared ownership opportunities abound.